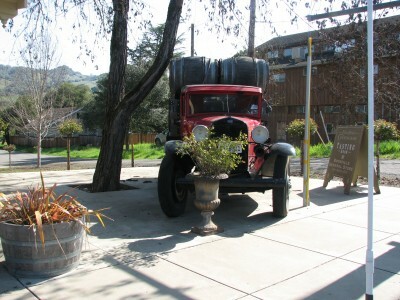 We woke up the next morning ready for our foray into Anderson Valley Wine Country. At that point, it had been a whole 18 hours since I had last thrown up! Not the ideal timing for a wine tour, but today was the day, as the rest of the trip was mapped out in other places. I am a big (no – HUGE!) fan of Willamette Valley Pinot Noirs, and I have been interested in trying some of Pinots from other areas. In researching our trip, I learned that the Anderson Valley has a double draw – they are known for their Pinot Noir wines and there are also several sparkling wine producers! Win, win! The Anderson Valley is characterized by a coastal fog that settles in the valley, creating the cool nights that Pinot Noir is known to thrive on. Jon and I got on the road, and while I was feeling a lot better (my breakfast remaining in my stomach being a vast improvement over the day before), I would be lying if I said I was feeling 100%. So we headed out, across Highway 253, a scenic country road that heads up and over some hills before descending into the valley at Boonville. The view was nice, and we enjoyed the drive. Our plan was to drive northwest from Boonville to Navarro on Highway 128, and then turn around and work our way back, stopping at our destination wineries along the way. There are many wineries located right on 128, so there really isn’t much chance of getting lost on country roads along the way. We checked out where we wanted to go on the way back (really, I decided where I wanted to go, because Jon hadn’t provided any input) and then we drove up to our first stop of the day. Handley Cellars is a family owned winery that began operations in 1982. 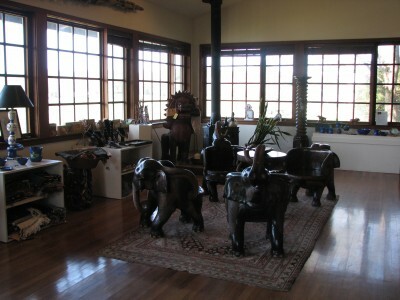 When you step into the tasting room, you are met with all sorts of interesting items from around the world. The server explained that the elephant chairs in the sitting area are over 100 years old, and is among the folk art items that have been collected by winemaker Milla Handley in her travels around the world. While we were there, we tasted the 2011 Mendocino County Chardonnay, the 2011 Anderson Valley Gewürztraminer, and the 2007 Late Harvest Riesling. For the reds, we tasted the 2009 Anderson Valley Pinot Noir, the 2010 Mendocino County Pinot Noir, and the 2009 Anderson Valley Reserve Pinot Noir. We also tried the 2009 Redwood Valley Syrah and the 2010 Redwood Valley Zinfandel. It was our first winery of the day, and as I was still a bit tired from being sick, and I completely forgot to take any notes. Sadly, I didn’t love the style of Pinot Noir. It was a much more earthy and spicy than the light, acidic, cherry Pinots from the Willamette Valley. The highlights of our tasting were the Late Harvest Riesling and the Zinfandel, which we took home with us. Husch Vineyards was our next stop, right down the road – their tasting room is very scenic – located in a historic pony barn built in the late 1800s. 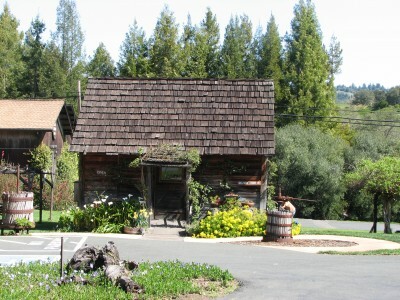 Husch planted their first vineyards in 1968 and the winery was founded in 1971, making it the oldest winery in the Anderson Valley. The current owners purchased the winery from the Husch family in 1979. 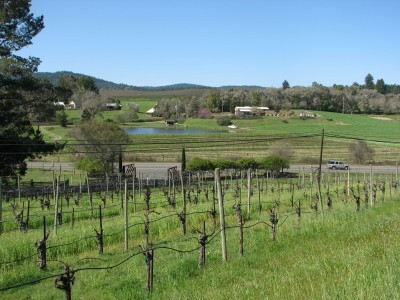 All of their grapes are estate grown, but some of the vineyards are in the Mendocino area. Husch has a wide selection of wines (22 in all – although only 17 were available the day we were there), and you can choose to sample any six on their list. I sampled their 2011 Mendocino Sauvignon Blanc, 2011 Vine One Anderson Valley Chardonnay, 2012 Vin Gris of Pinot Noir from Anderson Valley (a Rosé), 2010 Anderson Valley Reserve Pinot Noir, 2010 Mendocino Cabernet Sauvignon, 2009 Mendocino Reserve Cabernet Sauvignon, 2012 Chenin Blanc, and 2012 Muscat Canelli. If you count up those wines, you’ll notice that they let me sample eight, which just goes to show a little friendliness goes a long way. I was pleased with many of their wines, with their Chardonnay being a nice balance between the crisp style that I like and the oak that Jon prefers. Their Vin Gris Rosé was a nice, light summer wine, perfect for a hot day. The Reserve Pinot Noir was very nice, with more of the cherry flavors I have come to love in a Pinot Noir. Jon and I both enjoyed the Husch Cabernet Sauvignon, although I didn’t taste enough of a difference to justify the big price difference between the regular and the reserve Cab. And I enjoyed the Chenin Blanc, which had a slight sweetness with acidity and just a hint of butter. The Muscat Canelli had flavors of peach with honeysuckle on the finish. We left with a couple of bottles – the Reserve Pinot Noir and the Chenin Blanc. Then we continued on our tour! Now, with all my recent posts about my recent Southern vacation, some of you may be under the impression that I haven’t been drinking wine lately. And while I must say I have neglected my responsibility on the wine post front, it hasn’t been because I have all of a sudden become a teetotaler. I’ve been concentrating on trying to get through the vacation posts, well, because they are fun! There are only hours in the day, I don’t get to dedicate most of them to blogging. 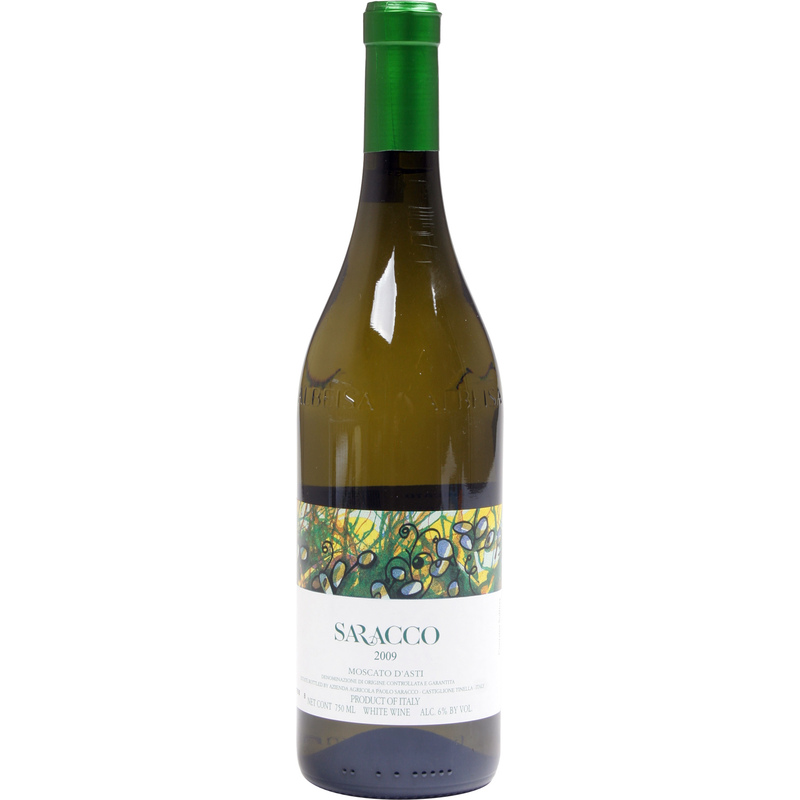 Tonight I went for a walk with friends after work, and then came home and opened a bottle of Saracco 2010 Moscato D’Asti. We bought this bottle about 6 months ago at an Italian wine tasting at our local wine shop, Purple Smiles. I knew I must have liked it, because I came home with a bottle, but I couldn’t remember anything else! This wine is a sparkling wine, and it is a sweet sparkler. Upon tasting it, it was a brand new wine to me. I didn’t remember having tasted it before. But actually, that’s not true – I have tasted this exact same taste before… but not as a wine. This wine tastes exactly like the Martinelli’s Sparkling Apple Cider! I love Martinelli’s so that isn’t a problem – it’s Martinelli’s with alcohol! However, although this wine is decent for what it is, don’t expect much structure or complexity from it. It has a smooth drinking, sweet apple taste that is very fruit forward, with no acidity. The sparkle on this one is more like the fizz than other sparkling wines I have had. If you have one of these wines, drink it young, because it isn’t going to age… Sometimes a sparkling cider is just an alcoholic one!